You are here: Home / Employee Engagement / Are you ready for employee engagement Leonardo do Vinci style? Are you ready for employee engagement Leonardo do Vinci style? This educational webinar will help participants apply 7 key practices from the work of Leonardo da Vinci to creatively and effectively increase employee engagement. 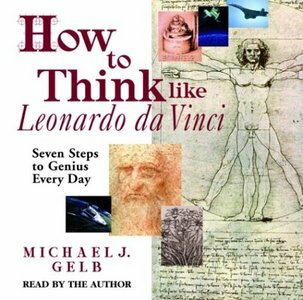 Michael Gelb, the prolific author, including How to Think Like Leonardo Da Vinci will be the guest on this 40 minute webinar. He will outline the 7 principles or practices of Leonardo da Vinci that we can apply to engagement. The webinar will be designed as if Michael is having a conversation directly with a manager who is struggling with engagement for himself and his staff. Attend the webinar to learn how to fully engage in the artistry of engagement as you move towards co-creating an employee engagement masterpiece. I am trying to register for the How to Think like Leonardo do Vinci style. Thursday april 14 webinar. The link to register doesn’t seem to work? Can you send me another link?